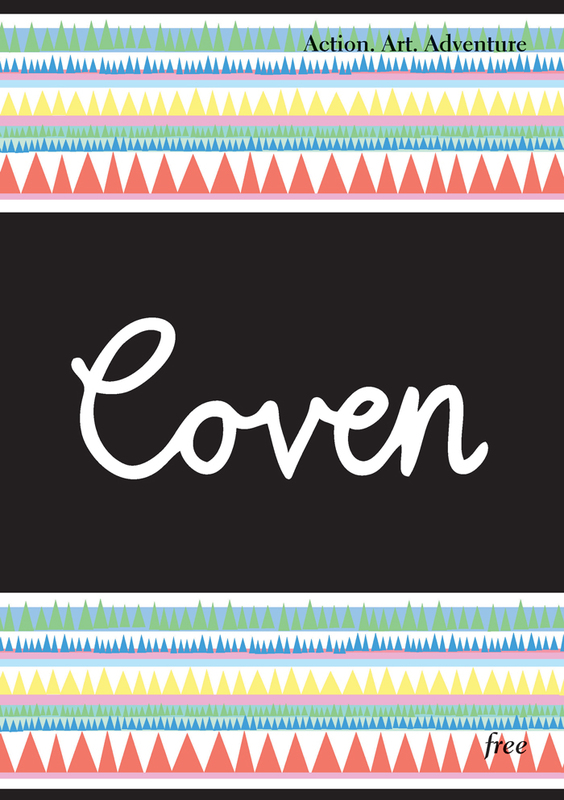 I dreamt up the idea of Coven Magazine whilst riding around day dreaming when working as a courier for City Sprint. There’s something about cycling that makes me daydream, particularly riding fixed – I guess the repetitive nature, the ceaseless pedalling sets my mind adrift. Once I’d decided I wanted to produce a magazine which wasn’t all about being thin or what pointless reality TV stars are wearing (or not! ), I wasted no time in getting it going – the first printed copy was in my hands three months later when we launched at Red Bull Studios. A year has passed, and now issue four is here. It wouldn’t have been possible without all the brilliant people who contributed their words and pictures. So a big thank you to you all. Nor would it have been possible if I’d have spent my money on fun stuff rather than printing, but that’s another matter. Self publishing is brilliant but tough work… I hope you’ll take a look at our latest issue and think the long slog has been worth it! If you like what you see, make sure you grab a printed copy from one of our stockists from Wednesday. Good work, especially like the article about what not to put on your skin. Sometimes the products are a little more expensive but I’ve found if I pay more you a body-wash that is not full of harsh degreasers I never need to moisturise spending less in the end. I pay 18 pounds for a Ren fashwash which is less than something designer too. I do wonder about the model in your fashion feature though. Shouldn’t you be using someone who celebrates the athletic form rather than the waif like? I’ve always bought the cheapest stuff I could find, but it’s time for that to change. I’ve heard great things about the Ren stuff. I hear what your saying about the model… but women come in all shapes and sizes and I also think there’s a fair bit of unnecessary criticism levelled at thin/slim people. I’m not going to discriminate against skinny people in the mag, just as I wouldn’t choose not to feature bigger women. Size and shape will always be an issue in women’s mags unfortunately – the minute you post a photo of a woman her body comes under scrutiny. But yeah, I think some athletic looking women should be the focus in next issue’s shoot. I became sensitive to sodium lauryl sulphate which is in most cheap stuff, even brands that claim to be good for sensitive skin. As soon as I stopped using it I went from having delicate dry skin to fairly robust normal skin and stopped having to moisturise and think about a cleansing routine.